html 10a4bb5 John Blischak 2018-05-17 Build site. Rmd ed562e1 John Blischak 2018-05-17 Export some plots for ch02 slides. html f326595 John Blischak 2018-04-26 Build site. html de4226e John Blischak 2018-02-16 Build site. Rmd 4d75cfb John Blischak 2018-02-16 Minor improvements to ch 02. 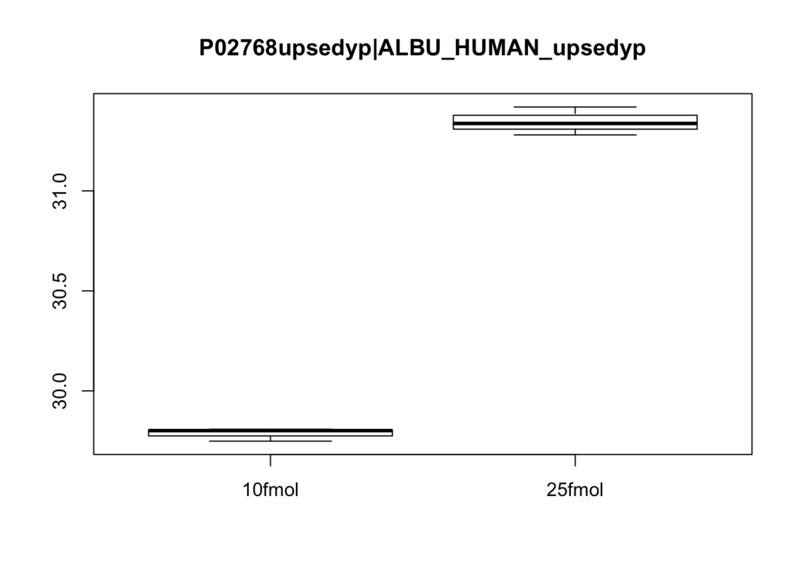 Analyze proteomics data set that compares 2 groups. Describe the scientific question, the experimental design, and the data collected for the 2-group study. Introduce the ExpressionSet object that contains the data. Review the quality control procedures covered in past Bioconductor courses (specifically comparing distributions and PCA). 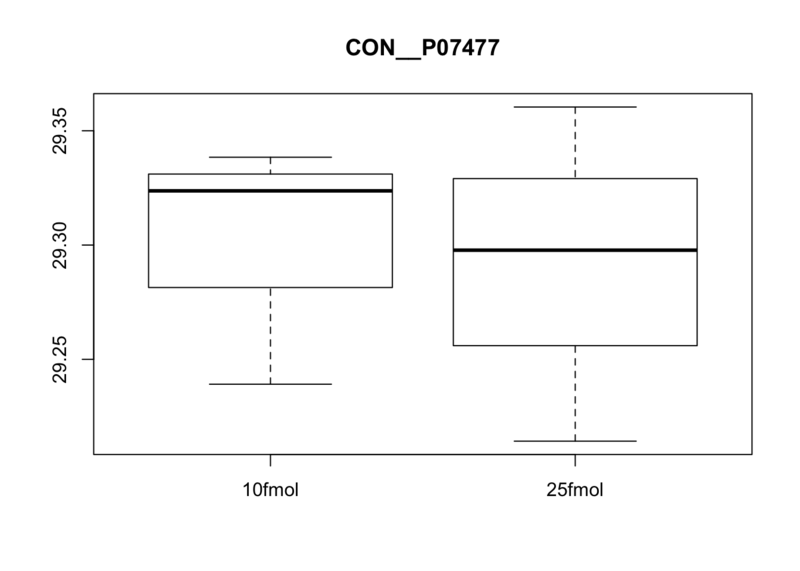 Create boxplots of a few pre-selected genes (one clearly DE, one clearly not, and one in between). 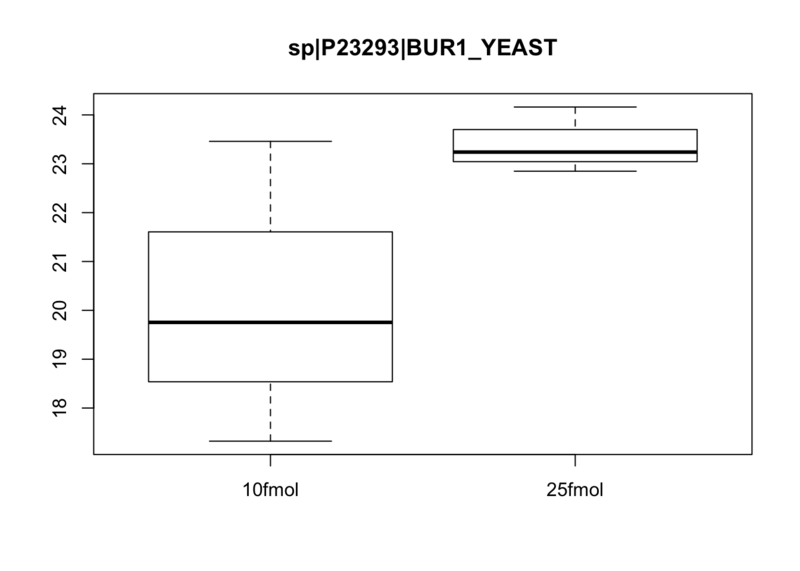 Use pData to select the phenotype variables and exprs to access the expression data. 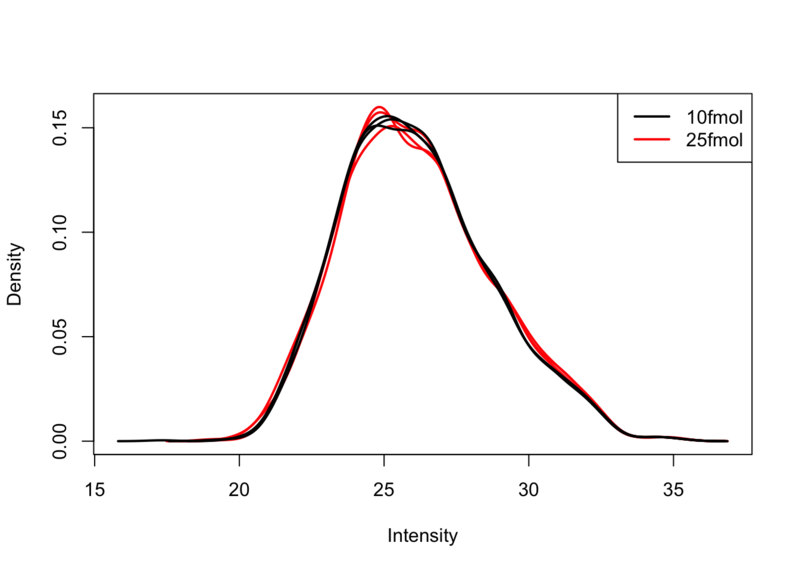 Use limma::plotDensities to confirm that the distribution of gene expression levels is consistent across the samples. Use prcomp to compute principal components and then plot PC1 vs. PC2 to confirm that the biological effect is the main source of variation. Describe the standard limma workflow. Describe the 2 main techniques for constructing the linear model: treatment-contrasts versus group-means parametrizations. Use model.matrix to create a linear model with an intercept and one binary variable. Use colSums to reason about how this relates to the samples (e.g. 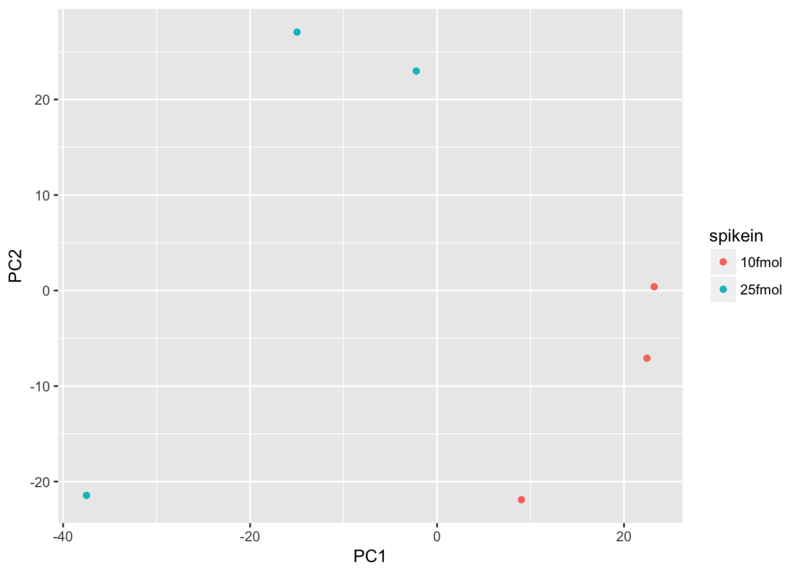 the intercept represents the mean across samples because it is 1 for every sample). # How many samples are modeled by each coefficient in the design matrix? Use limma::lmFit, limma::eBayes, and limma::decideTests to fit and test the model. Use model.matrix to create a linear model with two binary variables (and no intercept). Use colSums to reason about how this relates to the samples (e.g. each of the terms represents the mean for its group of samples because it is the only term that is 1 for those samples). Use limma::makeContrasts to create a contrasts matrix based on this new linear model. Use limma::lmFit, limma::contrasts.fit, limma::eBayes, and limma::decideTests to fit and test the model. Confirm that the results are identical to the more traditional linear modelling approach used previously. Describe how to access the results with topTable and describe the columns. Demonstrate some common visualizations. 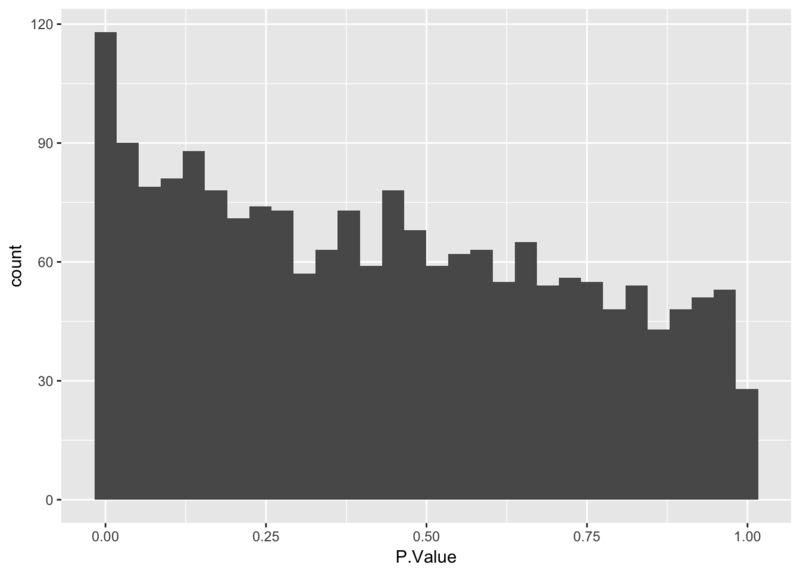 Use geom_histogram to plot P.Value column from limma::topTable. Ask question to confirm they understand that the p-value distribution corresponds to the number of differentially expressed genes identified. `stat_bin()` using `bins = 30`. Pick better value with `binwidth`. 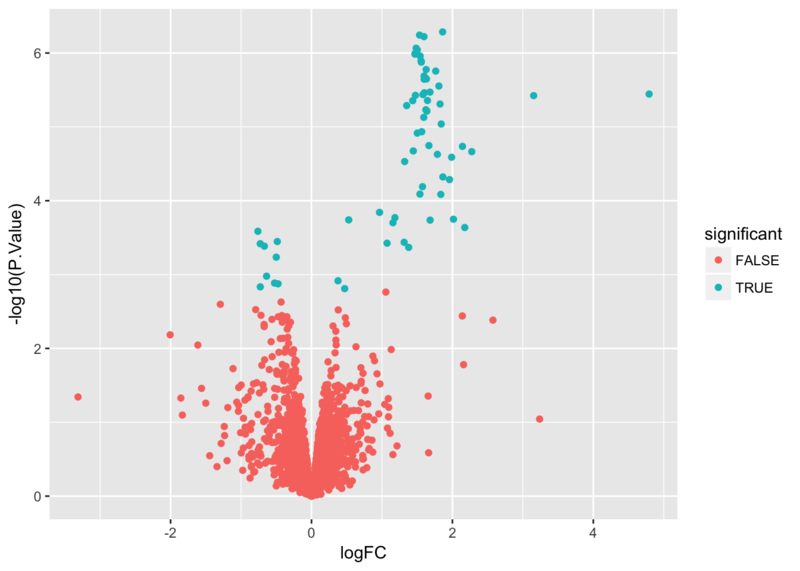 Use geom_point() to plot -log10(P.Value) vs. logFC. Mention limma::volcanoPlot after exercise is completed.